20th century easily stands out as one of mankind’s most destructive epoch, with two World Wars and several intermittent conflicts encompassing regions around the globe. And such mass-scale destruction was paradoxically brought on by the flourish in technology. Arguably, nothing quite epitomizes this ‘dark side’ of technological progression than war inspired man-made specimens like arms, armaments and weapons. 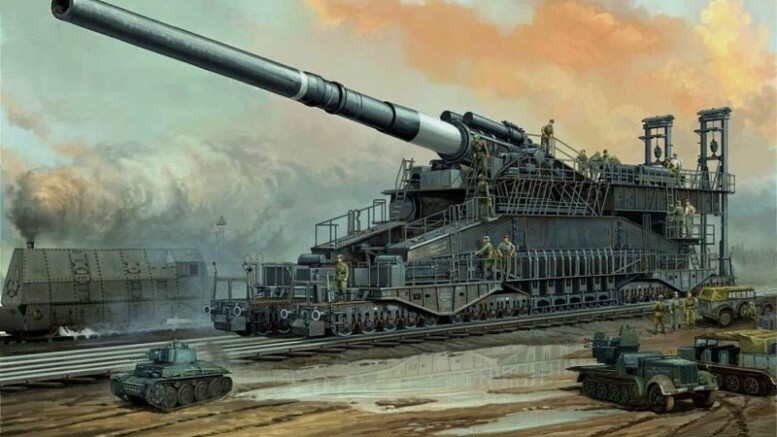 To that end, let us check out the eight super-heavy guns from Second World War that bridged the gap between engineering brilliance and remorseless barbarity. 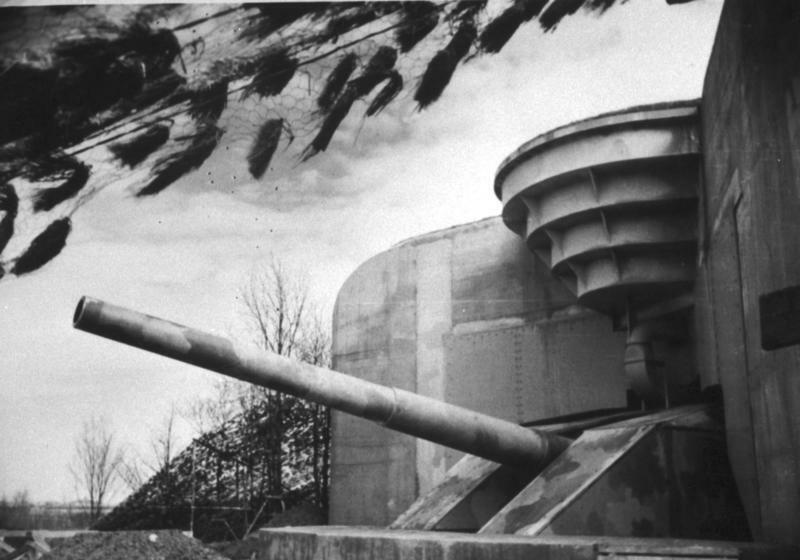 Robust guns emerging from solid bunker-like constructions (also known as casemates) made of 3.5 m thick reinforced concrete, the Todt Battery in every way signified the defensive stratagem adopted by the Germans in the middle stages of the Second World War. Posing as a grand component of the so-called Atlantic Wall – which entailed an expansive bulwark of coastal fortifications as defense against Allied invasion, the battery comprised of four casemates equipped with 380 mm caliber Krupp guns. All of these guns had a substantial range of 55.7 km, thus making their cartridges capable of reaching up to the coastal regions of Britain. In fact, the installation’s armaments replicated those of the renowned German battleships Bismarck and Tirpitz. But oddly enough, the Todt was never used to its full capacity, and was successfully captured by Anglo-Canadian troops in late-1944. Translating to ‘Karl Device’ in German, the Karl-Gerät was the largest self-propelled machine of destruction ever built by man. 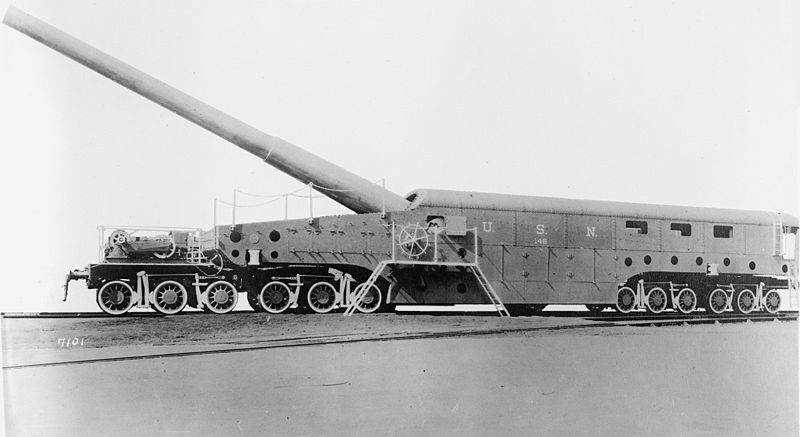 The massive contraption with a length of 11.15 m (37 ft) and a weight of 124 tons, had a equally monstrous barrel with 3.16 m (more than 10 ft) width. 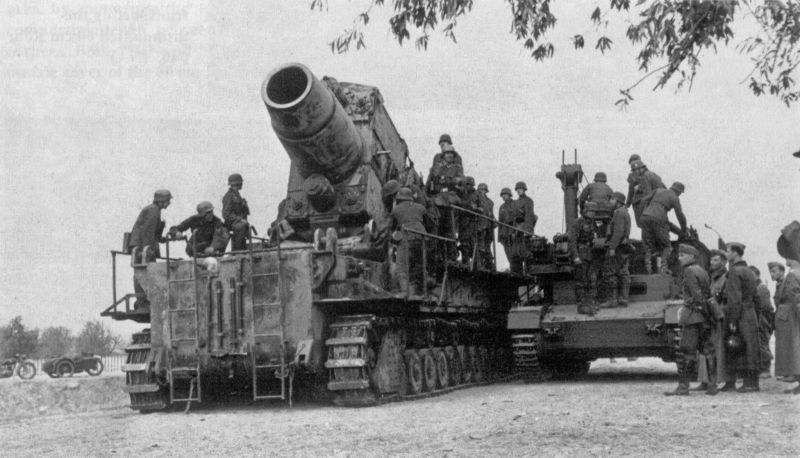 Seven of such howitzers were made by the German military technology group Rheinmetall; and six of them saw combat action against Russian, Polish and Allied opponents. As for their cased charged shells of 600 mm calibers, the 2 ton weighing projectiles had the maximum firing range of around 10 km. The weightiness of the ‘vehicle’ however was a disadvantage with the top speed of Karl-Gerät only reaching up to 10 km per hr. Moreover, the huge howitzer had to be manned by a crew of 21 people, and had a maximum operational range of about 60 km when fueled by a diesel engine. 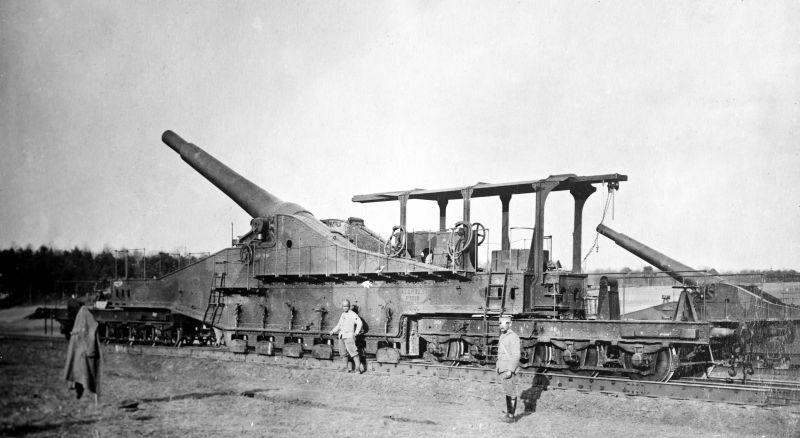 As can be comprehended from the year mentioned in the model name, the humongous French railroad howitzer was originally designed (as the biggest ordnance piece by Schneider et Cie) in 1916 during First World War – but it didn’t fire a single shell during the ongoing conflict. Oddly enough, the gun was captured almost 24 years later by the Germans during their invasion of France in 1940, and then used as a Nazi German weapon during the infamous siege of Stalingrad. 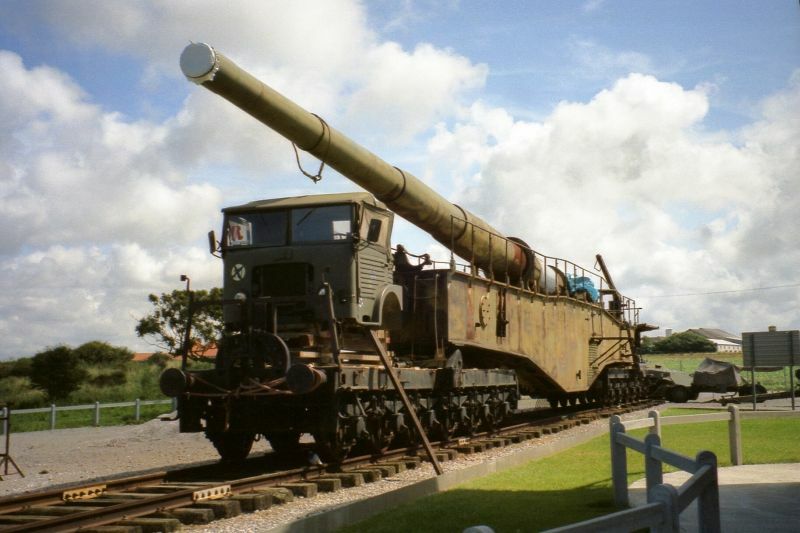 The electrically powered contraption was gargantuan to say the least, with its total length of 30.38 m (99.7 ft), weight of 263 tons and barrel length of 11.9 m (39 ft). 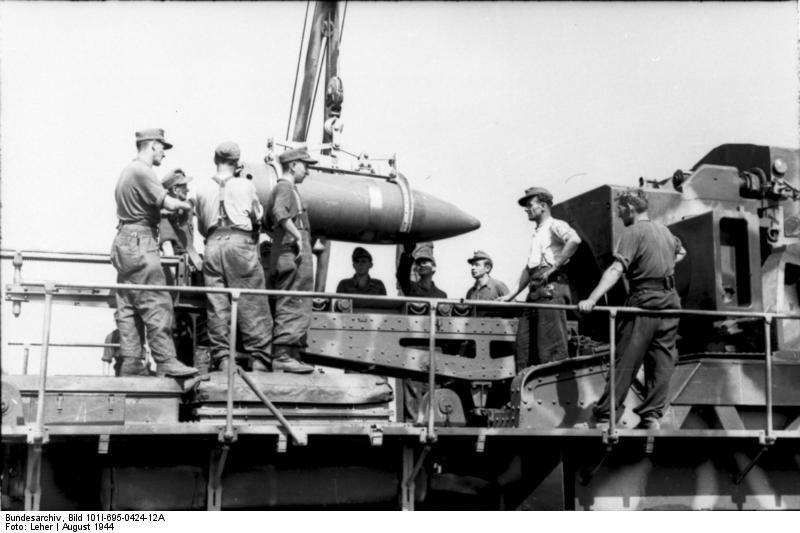 As expected from such boisterous dimensions, the shells had 520 mm calibers and weights of over 1,400 kg. 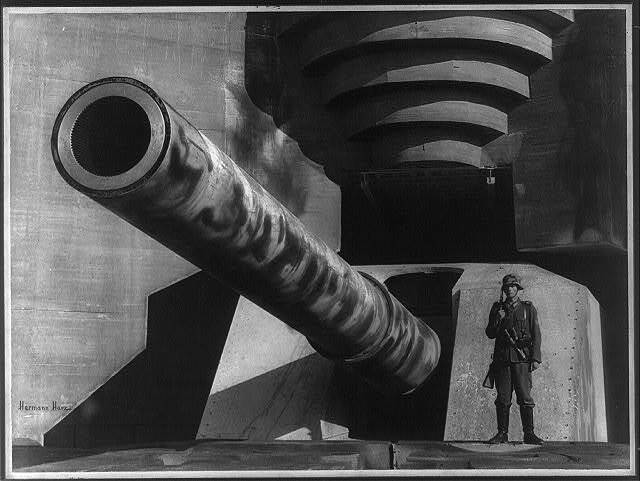 And in spite of its huge scale, the gun could only displace one round in 6 minutes, with a maximum range of around 17 km. 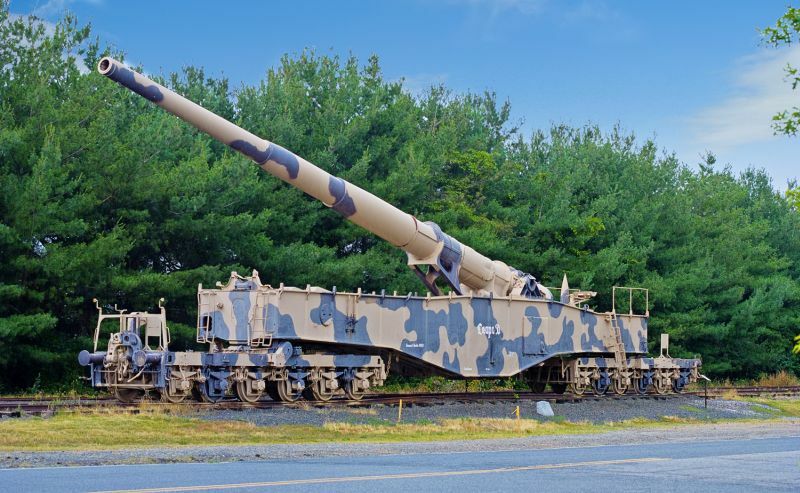 One of the very few guns with advanced engineering that matched its tactical ‘victories’ over opponents, the Krupp 28-cm-Kanone 5 or K5 was a heavy railway gun with a massive 21.5 m (71 ft) long barrel. Utilizing what is known as the “Vögele Turntable”, the huge weapon had the capacity to turn 360 degrees – which undoubtedly added to its tactical value. The ‘Anzio Annie’ of the Krupp K5 family was especially successful against the Allied troops, when over 50,000 soldiers made their amphibious landings in Italy in Anzio, Italy. In fact, according to many sources, the invasion effort was brought to a standstill for almost 3 months – with significant aid from the humongous 218-ton gun, which fired its huge 283 mm shells weighing 250 kg, over a range of 64 km!